Kharkiv Combined Heat and Power Plant No. 5 is one of the most powerful in Ukraine. It is located near-by Podvorky village in Dergachy District of the Kharkiv Region and satisfy the needs of domestic and industrial customers of Kharkiv city in electricity and heat. Kharkiv Combined Heat and Power Plant No. 5 is able to supply up to 540 MW of electric power and up to 1420 Gcal/h of heat power. To date total output of Kharkiv Combined Heat and Power Plant No. 5 is over 50 milliards kWh of electric power, and 48 millions Gcal of heat. Eristovskiy Mining Processing Plant is included to the Ferrexpo group and is one of a few companies on the Ukrainian market that was built "from scratch". The construction of Eristovskiy Mining Processing Plant had begun in 2008, and in the fourth quarter of 2012 the first ton of ore was delivered. Investment in the development of the enterprise equals to about 400 mln dollars. 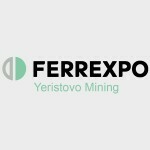 In 2013, the ore mined at Eristovskiy Mining Processing Plant provided the production of about 20 per cent of the products of Ferrexpo Company. However, there are the plans to expand the functions of the enterprise: the future Eristovskiy Mining Processing Plant will not only product, but also process the ore.
Zhylkomservis began its work on the 1st of January 2007 as one of the mechanisms for the implementation of the reforming housing and communal services program in the city of Kharkov. Zhylkomservis is the largest enterprise providing utility services to the citizens of our city. The main targets of this enterprise incorporation were: the formation of a city-wide "service of a single customer", the introduction of competitive mechanisms in the market for housing and communal services of Kharkov, creating a system of strict quality housing services to the citizens of Kharkov. Chain of petrol stations "OVIS" was founded in 2002. Petrol stations "OVIS" are located at the busiest thoroughfares of the Kharkov city and its region. 12 modern petrol stations are operating under the brand "OVIS". TETRA Fitness Club is the largest sport club in the Eastern Ukraine. The latest technologies in the sphere of fitness are used in the club. The modern equipment of famous producers as NAUTILUS, CYBEX, PRECOR is set down here. The studios Pilates Allegro and Gravity, 4 indoor hard-courts Green Set and 6 outdoor tennis courts, the squash center (single in Ukraine), training hall. 3 swimming pools of different size, fitness club for children are operating in the club. Research and Production Enterprise "Zarya" Ltd is a leading company of the chemical industry of Ukraine. Currently there is no similar facilities in our country capable of producing a similar range of products within the same manufacturing. Research and Production Enterprise "Zarya" Ltd is located in the southern part of Rubezhnoe town of Lugansk region. Zavodskaya street, where the plant is located since 1917, was named after the enterprise. From the beginning of its existence the plant rightfully has the status of the town forming enterprise. Today 1700 people are employed at the enterprise, and production facilities and auxiliary premises are located on the territory of 154,794 ha. Automobile Assembly Enterprise "KOBALT" is a Ukrainian manufacturer of special vehicles and municipal vehicles. The enterprise is specialized in manufacturing special machines and supplying special equipment and vehicles for the enterprises of mining and metallurgical complexes, chemical industry, construction companies and utilities, as well as warranty and after sales service, spare parts and materials supplying. Since 2004 "KOBALT" has been the exclusive sales agent for one of the largest corporations in the PRC FOTON GROUP in the sphere of equipment and road-building machines. Automobile Assembly Enterprise "KOBALT" has great authority in various sectors of Ukrainian economy. VLADAR Enterprise is a one of the leading manufacturers of lead-acid industrial storage cells and storage batteries in Eastern Europe. Their main products are storage cells and storage batteries for railway vehicles, systems of communication, automatics and teleautomatics, for ust in power stations and security systems. VLADAR Enterprise is the active member of the International Association "INTERBAT" as well as the Ukrainian Association of manufacturers of chemical current sources "CCS of Ukraine." T.G. Shevchenko HSADT is one of the oldest theaters in Ukraine. It was founded on March 31, 1922. The founder of the theater was an outstanding theatrical figure, stage director, People's Artist of USSR Les` Kurbas. It was he who gave the first name of the theater – "Berezil." Theater troupe, consisted of such masters of the scenes like M.Krushelnitsky, N. Uzhviy, Y.Gornyak, V.Chistyakova, L.Serdyuk, F.Radchuk and others – became the founder of a new wave of theatrical art, which absorbed the best traditions of Ukrainian theater, modernized them and gave them new ideas. In 1935 the Theatre received the name of the great Ukrainian poet Taras Shevchenko, and in 1947 – received the title of academic theatre. The Swiss company Groupe Zamatec SA is exclusive representative of a Swiss clinic in Ukraine that provides advice on the organization of treatment in Switzerland. Groupe Zamatec SA has been working in the market of services for more than 20 years. In Switzerland, the company cooperates with such the highest level elite private clinics as: Genolier, Valmont-Genolier, Montchoisi, Hirslanden Group, Double Check, Lemanic, La Prairie, and others. Moreover, GROUPE ZAMATEC SA is the exclusive representative of the Swiss clinic «Valere» within the territory of CIS countries. The main activity of International development company "AESI" is attracting investment and providing a full spectrum of services in the field of residential and commercial real estate. As of today, International development company "AESI" is included to the "International Finance and Construction Corporation "AESI", which operates on the territory of Ukraine, Switzerland, France and Italy. The corporation “AESI” consists of: construction company “TEHSTROI”, finance company Investment club "Mint", design institute "Harkovvodproekt", architectural office, a companies providing services in the fields of real estate, education, medicine and others. Debant Ukraine LTD is one of the leaders of the polypropylene packaging production in Ukraine. Debant Ukraine LTD also manufactures and sells all kind of polyptopylene cargocontainers – FIBC, Sling Bigbag, Container and Wagon Liner bag. Among the partners of Debant Ukraine LTD are PJSC “Rivneazot”, SE Artyomsol, Public Joint Stock Corporation «Nikopol Ferroalloys Plant» and other major enterprises in Ukraine and CIS countries. During last five years in Kharkiv it has been seen the positive trend of development of the hospitality industry sector. Hotel Carnival is a bright example thereof. The hotel has 2 restaurants, a summer bar “Rio” and a sports bar “5th time”. European cuisine restaurant “Venice” in its menu offers Italian, French, English and Mediterranean cuisine, as well as a special children’s menu and “Health” menu. The restaurant accommodates up to 150 people. Spa at the Carnival in Kharkiv is a unique space where there is the atmosphere of harmony of beauty and aesthetics . The range of spa centers includes special vocational programs with hardware technology and modern methods of correction of weight and detoxification the body. The combination of hardware, manual and other techniques, the use of high-quality cosmetic products provides a comprehensive aesthetic and health benefits. Ltd “MAXNET” is a communications service provider that has been operating in the market of information and telecommunication services since April 2002. Ltd “MAXNET” provides a full range of data services and Internet access and has its own fiber-optical network, constructed according to FTTB/FTTH technologies with operated switchboards that give the opportunity to serve it quickly. Multi-field clinic “DOCTOR ALEX” has been working since 1994. It is the clinical base of Kharkiv medical academy of postgraduate education. The clinic conducts joint research activities with KMAPE. “DOCTOR ALEX” works closely with leading medical institutions in Kharkiv and Ukraine and develops cooperation with scientists and doctors from other countries. The clinic has a powerful diagnostic base: modern laboratory; offices ultrasound (three expert class ultrasound machine with 3D-image); X-ray room is equipped with modern x-ray machines, multislice computed tomography Aquilion 16 manufactured by Toshiba (Japan), which helps doctors to establish a diagnosis. In addition, the electrocardiogram, daily monitoring of ECG and blood pressure, rheovasography, electromyography, audiometry, fibrogastroscopy, colposcopy, hysteroscopy, spirography, cystoscopy, electroencephalography are used when examining patients. Currently, 70 doctors represent all medical specialties and provide outpatient care, including surgery. 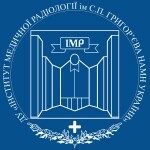 The Institute is a major research institution in Ukraine in the field of radiology, dosimetry and metrology of ionizing radiation, the basis for training courses on information and training on these issues, and since 1993 – the founder and publisher of “Ukrainian Journal of Radiology.” The institute has two of the department of Kharkov State Medical University: Radiology and Oncology. The work of the Institute (both scientific and practical) is aimed at solving the most important problems of radiology, i.e. working out and introduction into practice scientific achievements in the field of radiodiagnosis, radiotherapy, radiation medicine, dosimetry, metrology provision of ionizing radiation. Since 1958 Central dispensary commission on medical check-ups of the persons working with ionizing radiation has been working at the Institute. Every year this Commission performs check-ups of about 2000 persons exposed to ionizing radiation at their place of work and Chornobyl contingent, of them 500–600 are treated at the hospital of the Institute. The Institute is ESTRO member (European Society of Therapeutic Radiologists and Oncologists). Two scientists of the Institute are members of EANM (European Association of Nuclear Medicine), 5 – ESTRO, 1 – RSNA (Radiology Society of North America). LLC “Warm Seas” is the importer of dried salted fish and seafood. LLC “Warm Seas” provides the users salted dried seafood on a national scale with the best price-performance ratio. LLC “Warm Seas” offers a wide range of dried salted seafood of high quality, more than 50 kinds and also manufactures bull salty dried pepper of excellent taste and quality. LLC “Warm Sea” constantly increases product range as a result of marketing research. 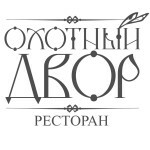 Restaurant «Okhotny Dvor” is one of the five unique dining restaurants in the city of Kharkiv. It is placed in the city center, surrounded by forest and park. Here you can relax by yourself or with your family, friends, listen to music, to feel the warmth of the fireplace. The restaurant has a relaxed and elegant simplicity of cozy alpine chalet, the design of which by antiquity echoes reached the present day. Every detail it is felt the notes of peace: on the walls handmade tapestries, soft comfortable sofas in the halls, live fire in the fireplace, on the shelves of wooden cupboards carefully arranged paintings, books, jugs and other pleasant things. Hall with a fireplace for a gala dinner in the company of two VIP rooms for 6 people, balcony, summer terrace, a special room for watching sports. For more than ten years in the restaurant there are preserved culinary traditions: Sunday gruel on wood, lamb on the coals, special game dishes, home-made bread and dishes from the wood-burning oven. Today, company «Ariadna» is the one of leading bandaging materials producers on the territory of Ukraine. It began its activity on the market of bandaging materials in 2002, and already reached success and recognition of our customers. The production is equipped with technological equipment (Tuchler, Germany), which provides producing goods that comply with the highest quality standards and customer requests. All stages of production are carefully monitored, from purchasing of raw materials to roduction of reliable, practical, and esthetic packaging. Company «Ariadna» offers wide assortment of bandaging materials, able to satisfy each customer and corresponding to highest quality standards: medical gauze cuts, medical gauze bandages sterile and non-sterile, hygienic absorbent cotton for surgical and ophthalmic use sterile and non-sterile. The Association of URAN users («URAN Association») was founded in 1997 by the Joint decree of Presidium of the National Academy of Sciences of Ukraine and Ministry of Education of Ukraine and re-registered in 2006 by Order of Ministry of Education and Science of Ukraine “On founding All-Ukrainian Association URAN» of March 13, 2006 No 181 and by permission of Antimonopoly Committee of Ukraine according to the decision of AMCU as of October 5, 2006 No 411-p as unprofitable organization. Founders of URAN Association were institutes of higher education of the 4th accreditation level, institutions of National Academy of Science of Ukraine and the Academy of Pedagogical Sciences of Ukraine. The purpose of establishing of Association and the principal goal of its activity is coordination and integration of efforts of the Association Members to ensure creation, development and usage of sole Ukrainian National Research and Education Network, increasing of education and science level in Ukraine, implementation of principles of information-oriented society, competitive joining of Ukraine to the Global information-oriented area and representing of interests of the Association members in institutions of government authority as well as in Ukrainian and International organizations. The Association is open for new members and operates in accordance with the Constitutive agreement. The activities of the Association are non-profitable; the development of URAN network infrastructure is funded basically from the State budget or by international grants and provided by URAN Association according to the Conception of the National Program of Informatization of Ukraine approved by the Law of Ukraine dated February 4, 1998 No 75/98-ВР, and by State Program “Information and communication technologies in Education and Science” for the years 2006-2010 approved by Resolution of the Cabinet of Ministers of Ukraine as of December 7, 2005 No 1153. The Association is owner of trade mark “URAN”. It is included in the register of operators and providers of telecommunications. The Association is a founder of the Subsidiary enterprise “Network Operator “URAN”, Charitable organization “URAN Foundation” and “URAN Publishing Service” LLC. The Institute was established in 1949 as an engineering organization of the Ministry of Defense of the USSR to carry out design work to rebuild the war-torn airfields and building new ones. In the late 60-ies Institute (military unit 44011), has become one of the leading design companies in the USSR Ministry of Defense in designing of military airfields and missile complexes strategic forces, space and special facilities to the places of the dislocation in the Far East, Zabaykaleі, in the central regions of Russia, Kazakhstan, Central Asia, Caucasus, Belarus, Moldova, Ukraine and abroad. Institute for the first time in the Soviet Union had designed complex of buildings of educational airfield near Grozny with two runways. The projects of measuring stations facilities management and satellite tracking in Kazakhstan and Trans-Baikal. Special structures designed complex abroad: in Libya, Cuba, Poland, Hungary, East Germany. According to the Institute’s projects were built or renovated residential complexes and townships in the locations of military units in many parts of the Soviet Union: Ukraine, Belarus, Georgia, Central Asian republics, motels and pioneer camps: “Pike”, “Pearl”, “Gadyach”, “New Sanzhary”, “Irpen”, “Anapa” and others. The Institute has a large and modern logistics and information base, created by 60-year history. The greatest asset of the Central Designing Institute is its staff, its intellectual level. The success of the Institute is based on the experience and professionalism of engineers – designers, their ability to perform any task. The careful attitude to the best traditions of the institute, responsible employees, constant desire to improve their technological level – all of these guarantee the success of the Institute. According to the National Business Rating and official data of State Statistics the Central Designing Institute of the Ministry of Defense of Ukraine for a number of years takes the leading place among the top state enterprises in Ukraine. Limited Liability Company “Kharkov railcar-building plant” – engineering plant that performs a full range of design, manufacture, delivery and servicing of products. The plant is staffed by highly-qualified specialists: designers, engineers, managers, certified project management. Supervision of the welding processes in the production and coordination of work are carried out by certified specialists with qualification “International Welding Engineer” in accordance with the requirements of DIN EN ISO 14731 719. Welders of the plant are certified in the Interdisciplinary teaching and assessment center of the Institute of Electric Welding named after E.O. Paton according to the standard ISO 9606-1 (EN 287-1). Continued cooperation with leading research institutes provides a high level of development and introduction of modern technologies and materials for production. The main activity of JSC “Kyyivbudkom” is the design and construction of cast-frame high-rise buildings office- and business centers, civil and industrial facilities with the latest technology and materials. Existence of own design bureau makes it possible to carry out orders of any complexity with consistently high quality of work performed. Capital Biosciences Inc. is a biotechnology CRO based out of Rockville, Maryland dedicated to connecting researchers from around the world with clinical sites and repositories of high-quality, clinically annotated tissue specimens, as well as custom cell and molecular biology laboratory services. The company committed to fostering global partnerships with the goal of advancing life science research for the benefit of humanity. As the search for new medicines and therapies becomes increasingly paramount CBI positions itself at the forefront of support for researchers in their efforts to extend and improve the quality of life. CBI has defined and adopted strong bioethics policies and has developed state-of-the-art biospecimen procurement procedures to achieve the highest ethical standards in all of its operations. All donors are protected by anonymity and legal Informed Consent documentation stating usage for medical research purposes and possible benefits to scientific discovery and humanity. Reference to fashion in the name of this dynamic travel company is no coincidence. In travel business, like in fashion there are tendencies, trends and hot new arrivals. These are the focus of STUDIO OF FASHION TRAVEL. That`s why our creative team is keeping moving forward opening new doors, and discovering terrific new destinations. Be it shopping out or clubbing, fashion shows or wilderness adventures, at Studio of Fashion Travel you will be get the best recommendation. The team is well aware of what`s on and what attracts the young and dynamic crowd. State Enterprise “V.A. Malyshev plant” is one of the oldest machinery plants in the CIS, Ukraine, Kharkiv. The plant has 15 years of history; it is one of the largest enterprises in Ukraine. The Plant manufactures a range of products: special purpose vehicles (wheeled and tracked), engines for such vehicles, cars for pipelines reparation without pipes excavation, spare parts and accessories for drilling equipment and vehicles for coal mining. Traditional products for the Plant are gas engine generators, which are used in power plants, diesel locomotive engines. Hotel AN-2 Kharkiv has a well developed infrastructure and is ideal for corporate stays and business trips. The hotel is located in Kharkiv on the Plekhanovs`ka street. It has 34 comfortable rooms of different categories. The hotel complex AN-2 meets all the requirements of a 4-star hotel of European level. Hotel of Kharkiv AN-2 has a stylish interior, air condition, TV, phone, Wi-Fi Internet access, mini-bar. The price includes a full breakfast from the chef of the restaurant, as well as secure parking. 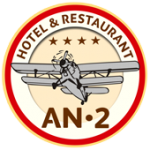 On the 7th floor of the complex there is a restaurant “AN-2” that has become one of the favorite places of Kharkiv citizens and city guests due to its menu that includes a variety of European and Ukrainian cuisine, a warm atmosphere and reasonable prices. The main activity of LLC “Manufacturing commercial s FORSAZH” is the wholesale supply of spare parts and accessories for agricultural machinery in Ukraine and in foreign countries from a warehouse in Kharkiv branch and warehouses. Among the partners of “Manufacturing commercial enterprise FORSAZH” are: Kharkiv tractor plant, Lozovsky Forging-Mechanical Plant, Sinelnikovskoye plant Lisichanskiy Glass Plant “Proletary”, Kharkiv plant “Mashgidroprivod”. Municipal enterprise Lugansk Regional “Farmatsiya” is one of the major drugstores in Ukraine. This enterprise includes drugstore shops and stalls, pharmaceutical factory, drugstore warehouse, quality test laboratory, workshop for manufacturing and repair of the chemist’s equipment etc. Warranted quality of medicines, full assortment, efficiency and social guarantees compliance are basic priorities of the enterprise business. City Center for Keeping Animals is open from June 2012. Currently, the complex of the Center includes: a modern veterinary clinic with two compartments – for animals that have owners and homeless animals, quarantine area, cages of the demonstration zone, a shelter, hotel for pets for the period of holidays of their hosts, a shelter for cats, an area for dog walking, and training platform. The whole complex is designed for the simultaneous keeping of 500 dogs and 380 cats. The center has modern equipment and veterinary staff of experienced veterinarians. SPA “Severodonetsky Stekloplastik”, LLC is the largest national producer of glass fleece, chopped glass strands, press materials and products made of fiberglass. Full functional control of production ensures compliance with highest standards of product quality. The company sells its products in Ukraine, the CIS, and in the countries of European Union and the Middle East.